Oil on canvas. 99 × 164 cm. Signature on the right of below: J. H. Schönfeld. Saint Petersburg, The State Hermitage MuseumInv. No. ГЭ 1335. 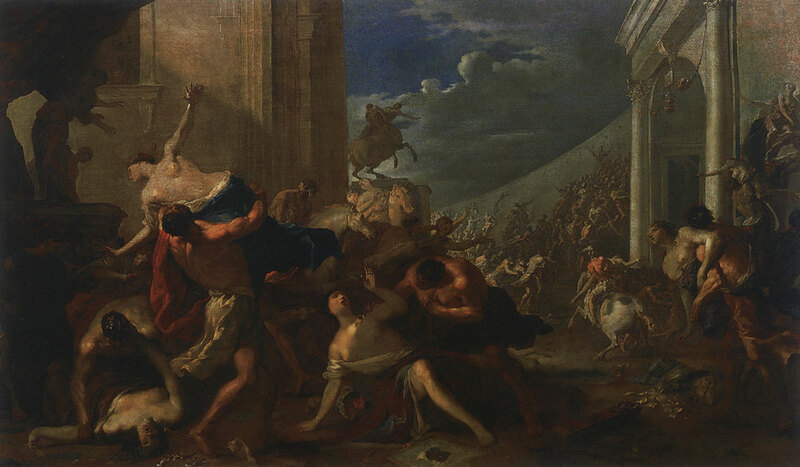 Abduction of the Sabine Women. Signature on the right of below: J. H. Schönfeld. © Photo, text: Antichnoe nasledie v iskusstve Zapadnoi Evropy. Katalog vystavki. s. 52 cat. No. 45.